The megaline Ssence 400 and 600 represent the very latest 3D wheel alignment technology. 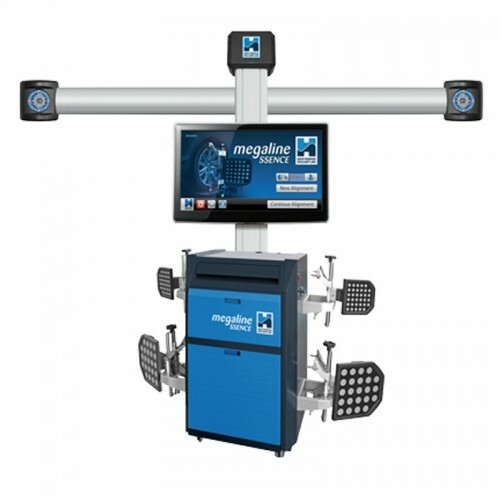 Utilising the 'reflective target' type measuring head and camera system, the Ssence is fast, simple, and ideal for those customers looking to invest in the most advanced wheel alignment capability available on todays market. The software has been designed to make life as easy for the operator as possible, minimising unnecessary procedures commonly found on other, similar systems. Whether it is the more economically-priced 400, or the ultra-advanced 600, with 32" display and automatic camera boom, you can be guaranteed a product that will earn you thousands of pounds in valuable extra revenue.